MICA Photography professor Jay Gould served as the inaugural HEMI/MICA Artist in Residence. Prof. Gould worked with HEMI faculty to create a series of photos to capture the complex work of HEMI materials scientists. 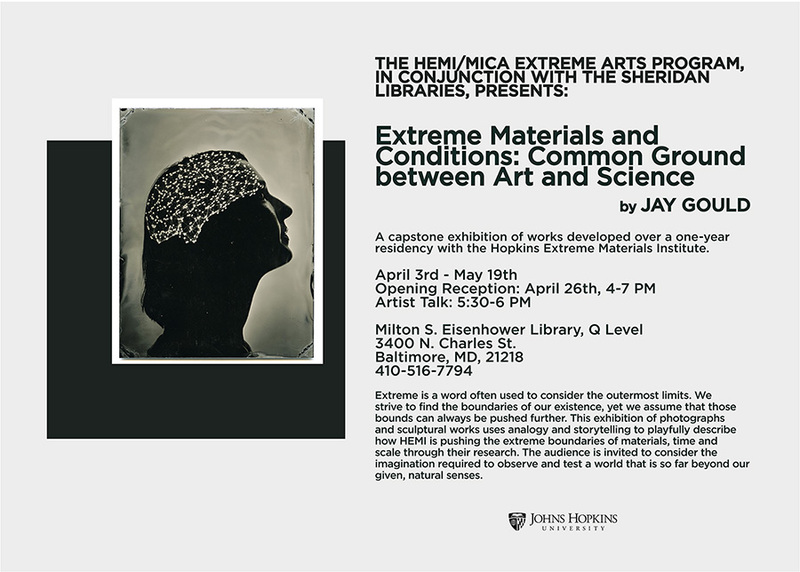 His work was showcased during a final exhibition, “Extreme Materials and Conditions: Common Ground between Art and Science,” held at the Milton S. Eisenhower Library on the Johns Hopkins University campus. Extreme is a word often used to consider the outermost limits. We strive to find the boundaries of our existence, yet we assume that those bounds can always be pushed further. 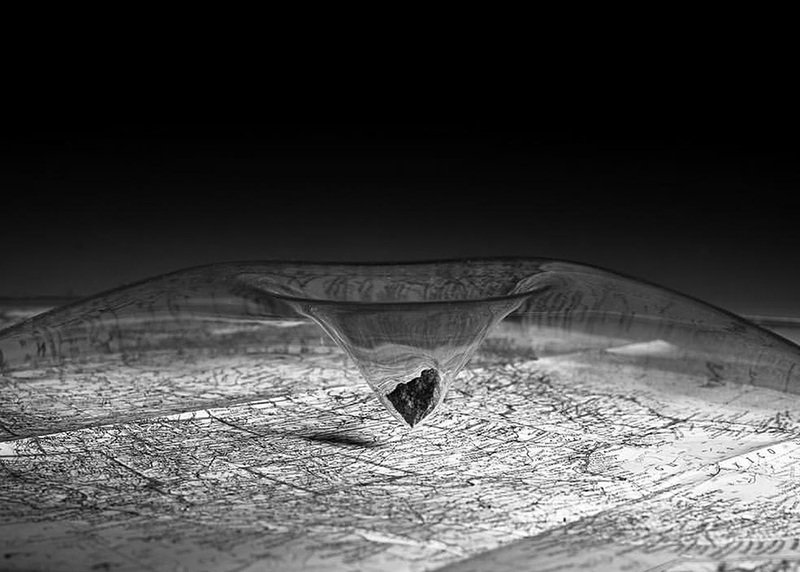 This exhibition of photographs and sculptural works uses analogy and storytelling to playfully describe how HEMI is pushing the extreme boundaries of materials, time, and scale through their research. The audience is invited to consider the imagination required to observe and test a world that is so far beyond our given, natural senses. 2016 HEMI/MICA Artist in Residence, Jay Gould, works behind the lens to capture the complex work of HEMI materials scientists.